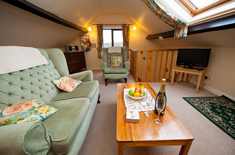 All the cottages are fully carpeted with double-glazing for your comfort and feature free wifi. All linen, bedding, tea towels and personal towels are provided, please bring your own swimming towels. 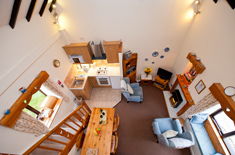 The kitchen in each cottage is fully fitted and extremely well equipped with built in cooker and hob, microwave oven, fridge, electric kettle and toaster. 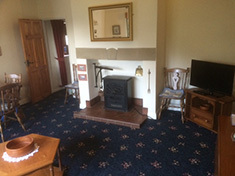 There is a Freeview digital TV with integrated DVD and radio and electric coal-effect fire in all the cottages and they all have their own patio and picnic table. All four cottages - May Cottage, Swallows Folly Bartletts Barn and Over Across - have central heating and the prices on our tariffs page are fully inclusive so that you can enjoy the warmth of our cottages throughout the year - though we are sure you will consider the environment when you are staying in this beautiful part of the country! For your convenience we have ample car parking space on site, a store for suitcases and some deep freezer space – please ask. 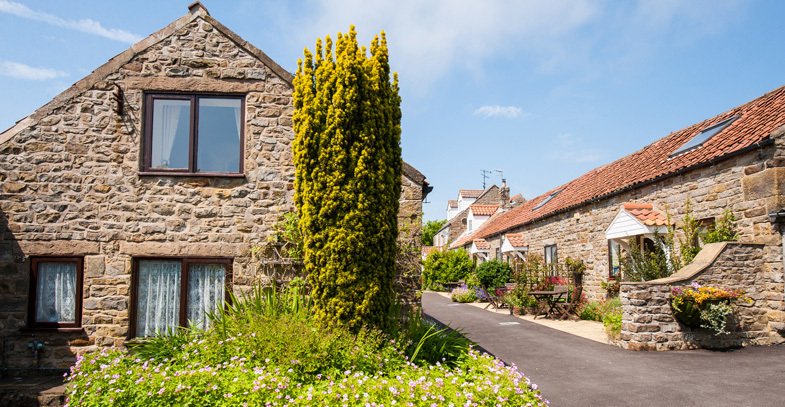 May Cottage and Swallows Folly sleep two, Bartlett's Barn and Over Across are superb for family or larger group holidays. Click on the links at the top of this page for more photos and information. We have a superb heated indoor swimming pool, a games room and a barbeque and picnic area for our guests to enjoy. Whether you have had a day out walking or relaxing on the beach, we are sure your holiday will be enhanced with a swim, some "al fresco" dining in the North Yorkshire moors or a leisurely game of pool. An access statement is available on request, please click to download it. Please click on the name of the cottage at the top of the page to view more information.